We have a new issue up at Paper Issues, it's called In the Navy and it's sponsored by Echo Park Paper! 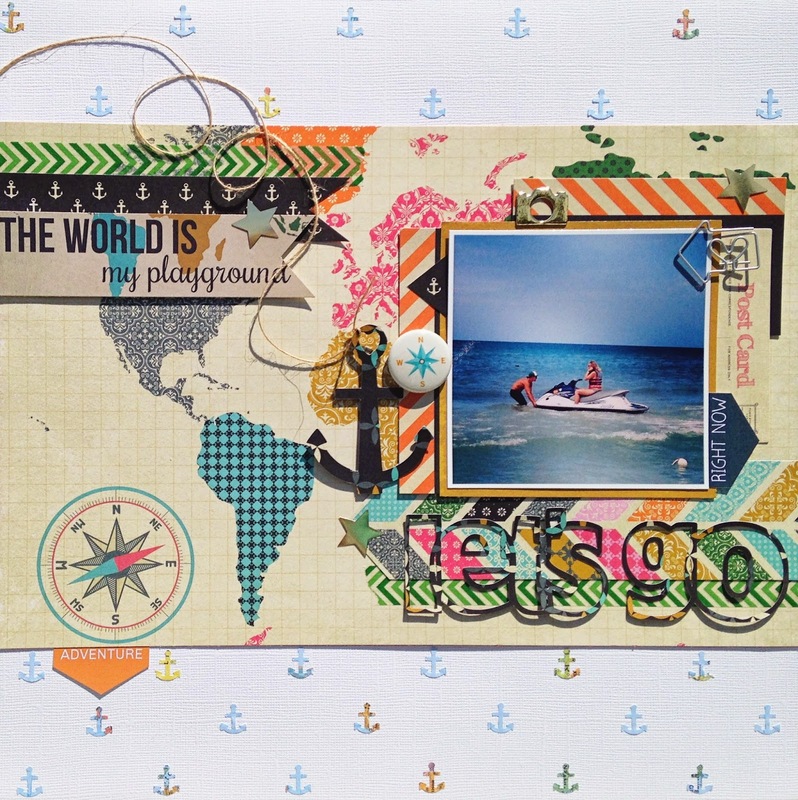 For your projects to link up you can think of shades of blue, sky, clouds, military, anchors, sea creatures, the sea/ocean, sailing, boats, patriotic or any project with Echo Park Paper products. Echo Park Paper is providing not 1 but 2 collection kits for the winner!! For my layout I used this picture taken at Clearwater Beach. I'm a 100% beach girl and I can't imagine living far from the beach and the ocean, even on vacation I love to spend my time on the beach. I can't just lay down on the beach, so I'm always looking for fun activities like I did in Clearwater Beach. I used the Fancy Pants Design As You Wish collection that came with the Clique Kits May kit. The Let's Go and anchor cut files are from The Cut Shoppe. You can find all the new Fancy Pants Design collections overhere in the Paper Issues store and buy them with 20% off when you use my code DANIELLE20 at check out! 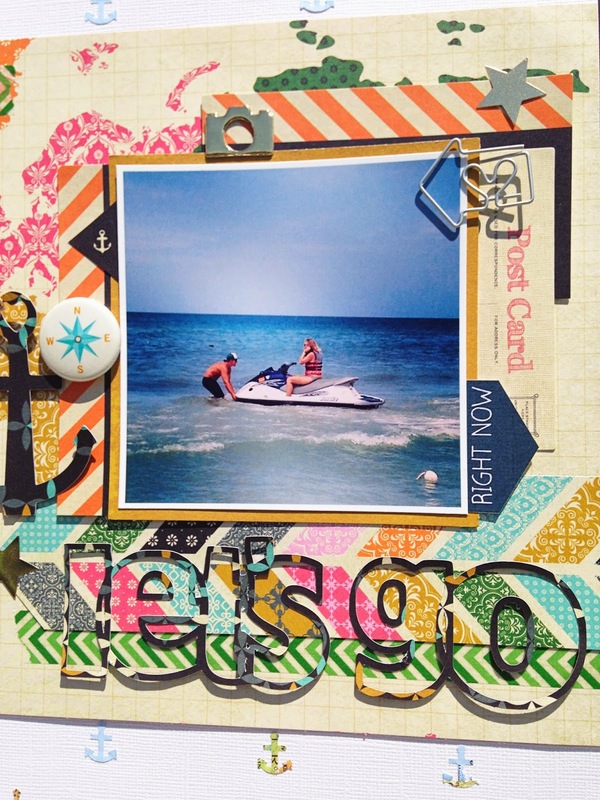 Awesome work with the map paper, Danielle! Loving all of the little details and punched anchors! Wowwwwwwww! This is gorgeous! I love love love the map paper!!!! 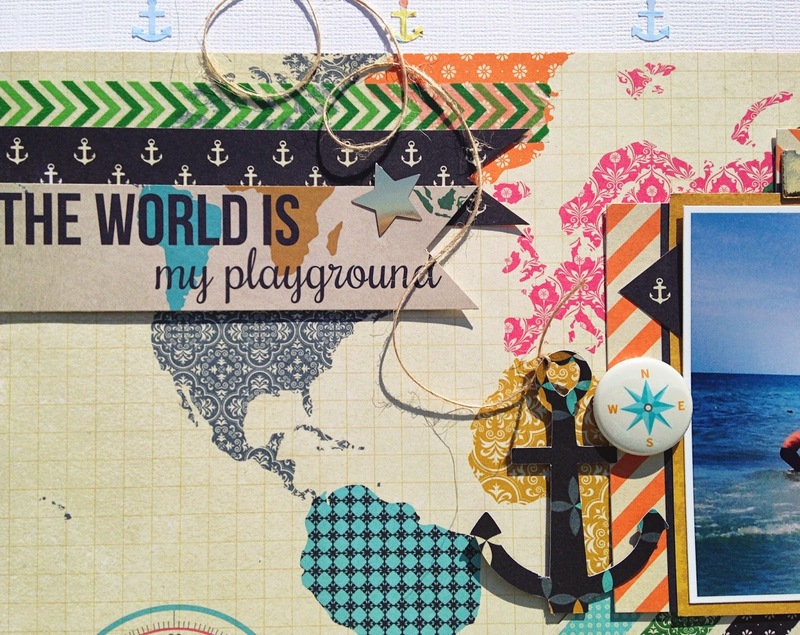 Fab layout, love the punched anchors, bold colors, and your cut title! Oh, I LOVE that title! Fabulous! great layout! love the anchors!